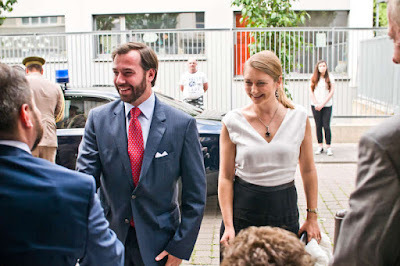 On Thursday night, Hereditary Grand Duke Guillaume and Hereditary Grand Duchess Stéphanie were at the Cinéma Ariston in Esch-sur-Alzette were they watched a screening of the film Brabançonne. Titled like the Belgian national anthem, the 2014 movie was a Belgian-Luxembourgish co-production with more than 50 percent of it being filmed in the Grand Duchy. 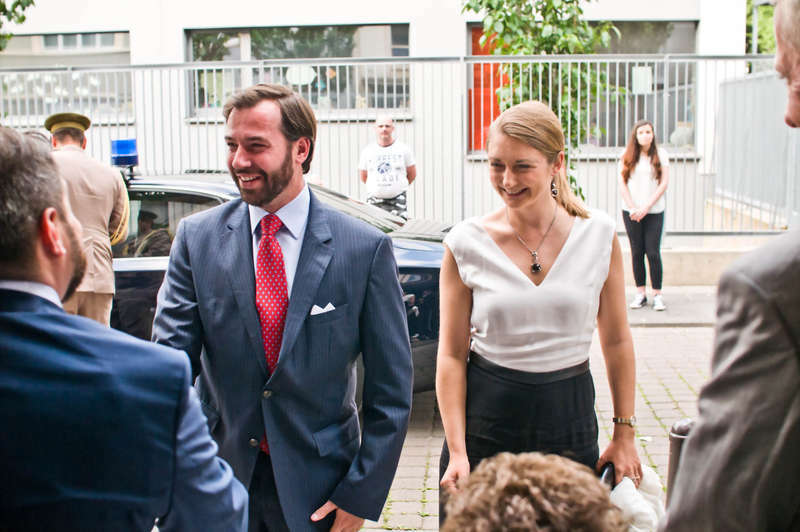 Many of the technicians and actors also came from Luxembourg. And last but not least, it was co-financed by the national Film Fund. According to IMDb, the film tells the story of "Two Belgian brass bands [who] compete for the European title. One is Flemish (Sint-Cecilia), the other Walloon (En Avant). Sint Cecilia loses their soloist in dramatic circumstances and to ensure their participation in the contest they try to steal the very talented soloist from En Avant. The ball starts rolling and not everything will happen as planned."